Are you hearing and seeing the signs that mice have invaded your South Portland home? Perhaps you are hearing scratching noises inside your walls as you try to get to sleep. Maybe you are noticing tiny dark-colored droppings in the backs of your kitchen drawers. Or perhaps you have even witnessed a mouse scurrying out of sight when you've flicked on the kitchen light at midnight. If this is the case, you may be wondering how you can get rid of those mice. How Do Mice Get Into Homes? Since mice are unlikely to walk in through the front door, they must have found a weakness somewhere in the outside of your home. If mice come close to your home, and temperatures are dropping, they may find a small gap in your foundation or walls where warm air is escaping. If so, they will be drawn to squeeze through it. From here they may find their way into a wall void, which will give them access to all sorts of places in your home. They may also be able to climb up downspouts or trees or bushes to gain access to roof areas where they may find a gap or crack. Keep in mind that mice only need a hole the size of a dime to squeeze through. Mice never stop chewing: Like all rodents, mice have a set of incisors that never stop growing. Because of this, they need to constantly chew on things in order to file these teeth down. Some things that mice chew on include wood, plastic, sheetrock, insulation, food packages, stored items and electrical wires. In this, they have the ability to damage structures as well as belongings and could possibly cause a house fire. Mice are known to spread disease and sickness. As they go in and out of a house, they can pick up filth from trash cans and dumpsters, sewers and decomposing materials, and then track that filth back in. That same mouse that was scurrying across your kitchen counter may have been, only a short time before, rummaging through bacteria-laden garbage in your neighbor's trash. And not only do mice carry filth on their fur, they also spread bacteria by leaving their urine and feces everywhere they roam. A few of the diseases mice are known to carry are tularemia, salmonellosis, rat-bite fever, plague, and leptospirosis. Mice are famous for bringing parasites into homes. As if urine, feces, and bacteria are not enough, mice are also the carriers of parasites such as mites, ticks, and fleas. So, if you find yourself scratching your head because you've started to notice fleas in your home, and you don't have pets, they could have ridden in on mice living inside your walls. And we are all aware of the dangers ticks pose. Traps: While mouse traps can work when implemented correctly, they are not usually effective when applied by an untrained person. Pest control technicians know just where to place traps, how many to place, and what types of baits to use. Often, when homeowners catch a mouse or two, they believe the problem is taken care of when there are several more still living inside the walls of their home. Unsealed walls: If you catch all the mice inside your home, but your walls are not sealed up properly, more mice will keep coming in, creating a never-ending mouse problem. And if you have caught mice, and no longer are hearing them inside your walls, they may very well still be there. Mice often prefer to establish nests close to food sources. If mice have nests inside the wall voids near your kitchen or pantry, you will not hear them in your bedroom walls as you are going to sleep at night. Keeping your house sanitized: Even if you keep your home perfectly free of food and water sources for mice, they will still be more than happy to stay if they have established a nest. They can simply find their food and water sources outside, but continue to live in the warmth and safety of your home. If you are in need of getting rid of mice that have invaded your South Portland home, don't rely on DIY methods, which often fail. 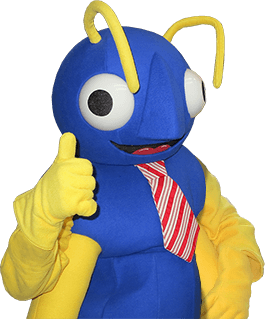 Reach out to the professionals here at Big Blue Bug Solutions. We have the tools, the expertise, and the years of knowledge to know just exactly how to get rid of all the mice in your home and keep other mice from entering. Help is always just a call away.